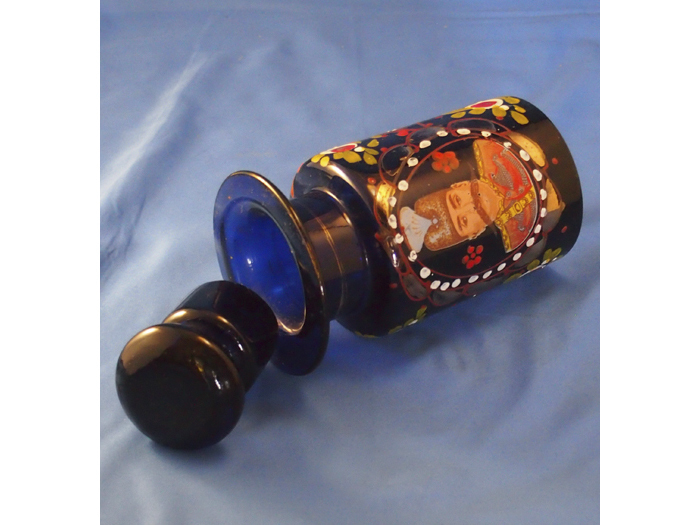 Hand blown and hand painted blue jar. 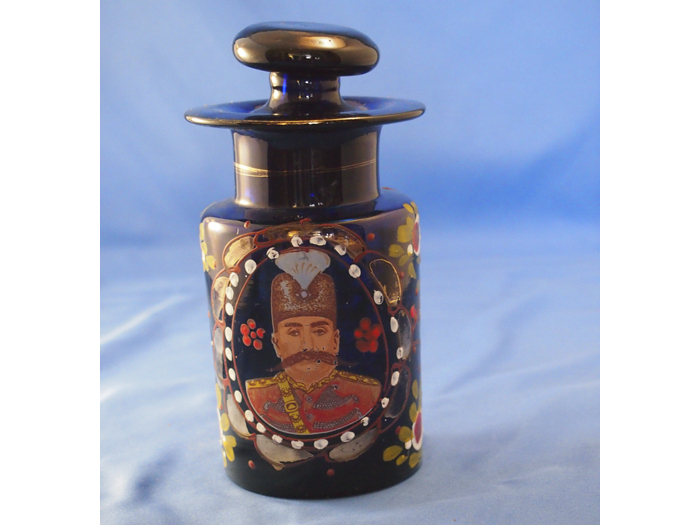 This art glass item features a portrait of a Turkish or possibly Ottoman military officer. Surrounding the jar is a hand painted floral design displaying regional flora. The neck of the bottle leads to a wide lip that receives an asymmetrical glass stopper. 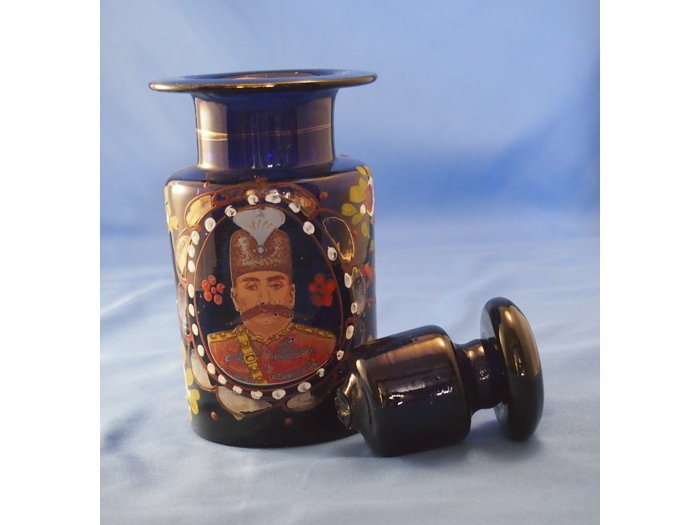 The jar is 7 inches high (with tip) and 3 inches in diameter at the base. Very good condition.